It's no secret that I have an extreme obsession with jewelry and Pop of Chic is one of my absolute favorite brands when it comes to trendy, eye catching pieces. Below are some of the seriously gush worthy jewels currently available from the fabulous online retailer, perfect for any summer ensemble. Which piece is your favorite? Don't forget to check out Pop of Chic on Facebook and Twitter! I love massive/ statement jewelry!! Your blue ring and stack of bracelets look amazing! I love all of your bracelet ! Love every single piece here! Really like the fact that the designs are so wearable! These pieces are to die for!! I love the necklaces and the Olivia ring is simply stunning! Quite the eye catcher, yet totally understated with it's light colored stone. I'm pretty much obsessed with your sunglasses in the first picture. Where are they from? You always have the best taste in jewelry. I love all of these pieces, especially your earrings in the first picture. Gorg. Anna, you've gotten me completely addicted to Pop of Chic. The pieces are so fabulous. Hope you had a great weekend. All of these accessories are amazing, loving the blue ring! Wow they have fabulous pieces. I love the necklaces you shared. Gonna check them out now. i love that big blue ring. 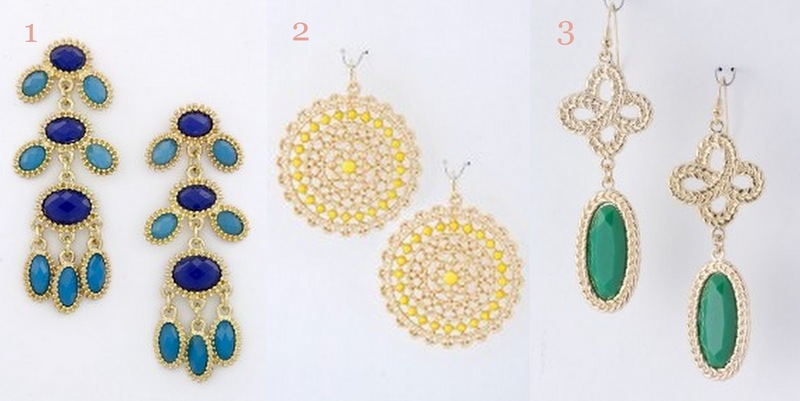 The earrings you are wearing in the first pictures are soo beautiful!! love them, I think I need most of those!! you look FABULOUS, anna. your accessories are ROCKING in this look! Love all of these pieces! So fab girl! 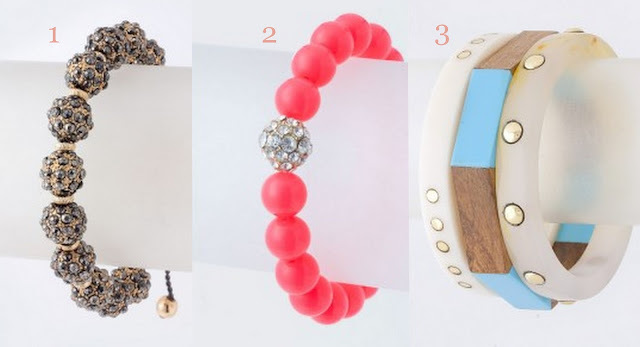 All of these accessories look amazing for summer! OMG... I love that starfish ring! I def must have in my jewelry box! They have really pretty statement jewelry! I love the Stella Crystal Ball Beaded Bracelet. It is so pretty! I absolutely LOVE the earrings in the first picture. I'm a sucker for chunky bangles and rings, in fact I'm not normally seen without an armful of bangles!! 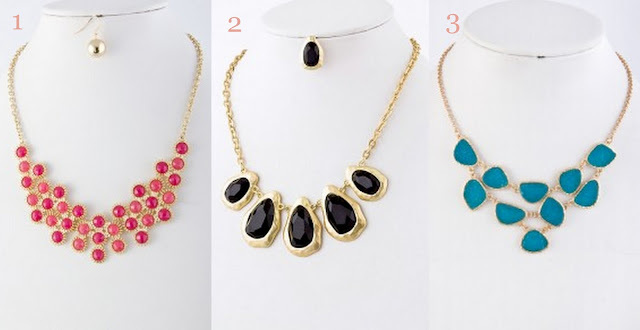 I love big statement jewlery, everything is so pretty! My favorite is that gold diamond studded cross cuff bracelet, soooo pretty! Gushing over here! Yes, Please! Love the colors and styles! The blue ring is awesome! I adore Pop of Chic - having them on my Facebook feed makes me constantly feel the need to add another bit of bling to my jewelry box. I'm loving all of those bracelets! So beautiful. You always have the most gorgeous accessories! You look fantastic Anna....I would have a hard time choosing from this lovely line!! always love your jewelry!! these choices are adorable! please check out my giveaway - you can enter to win a gorgeous handmade bracelet! love your armcandy~!! 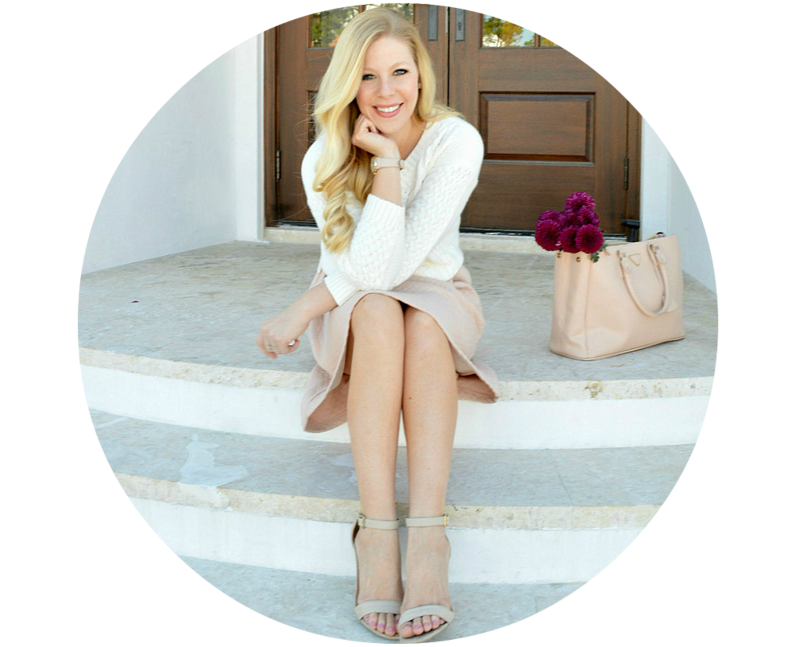 I'm so glad I found your blog, you are so pretty! xO! your bracelets are so cool! :) Kisses! Love the Talia Oval drop earrings! They always have great stuff! 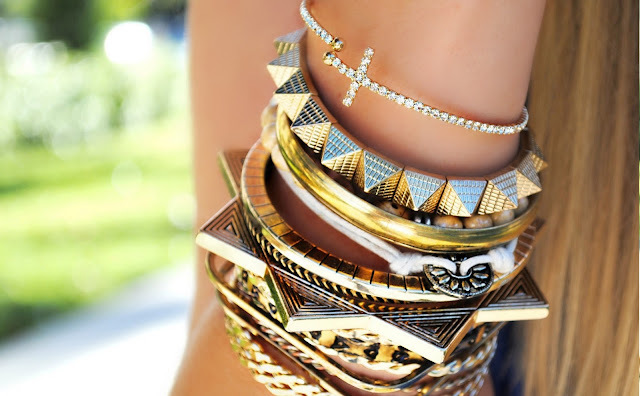 Loving all the accessories expecially those stacks of bracelets on your wrist. Too many to pick a favorite! I love them all! Love love love the stacked rings! great post! love your taste in jewelry. 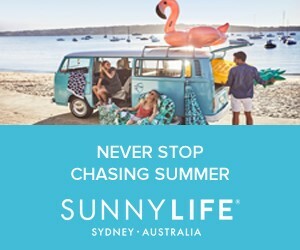 I just did a post inspired by the one you did last week on Threadflip, check it out http://colortheeastcoast.blogspot.com/2012/07/new-threads.html. So many great pieces. Love them all. Man these are some SERIOUS eyecandy to drool over!!! I love the Talia Oval earrings! So gorgeous. And the 2 rings you're wearing in the cupcake pic are beautiful. LOVE their jewelry! I have a bit of an obsession with jewelry too! I always see so many cute pieces but then I think about all the earrings and such that I have at home and forget I have them! I'm loving the coral bracelet and the last green/gold earrings you posted. so lovely! Your jewelry always looks amazing!! Such cute picks! Loving all those earrings! I love the stacked rings!! ooh what fun unique pieces! i love them all, thanks for sharing! Love, love, LOVE the shot of all the bangles..! Wow! great set of accessories! Love the jewelry! I am loving the big statement earrings! I love the coctail rings! I'm currently on the hunt for some of my own, so I'm definitley going to look at Pop of Chic. I'd love for you to stop by and check out my outfit posts! Your jewelry is amazing! I especially love the gold spike bracelet in the third picture! I love the bracelet in the third picture and the cupcakes look so yummy. You have gotten me hooked on pop of chic. I love all of the jewelry they have and the prices are so affordable. 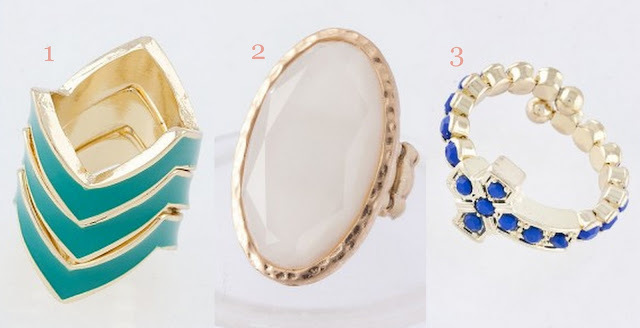 I love all this jewelry and your blog! New follower :) hope you follow back. This jewelry set is gorgeous! Keep in Touch!